Hey, you don’t always want me to pander and tell you what you want to hear, right? In my assessment of the second presidential debate I gave the nod to President Obama. It was not a decisive victory, but the president controlled the debate and looked more presidential, which is why incumbents usually have the edge in these debates. It’s also why Obama’s lackluster performance in the first debate was so jarring. For my assessment of the third and final presidential debate on Monday night, I am again calling it for Obama by a similar, maybe slightly greater margin. That means the only slam dunk win among the three presidential debates was Mitt Romney’s first debate win. 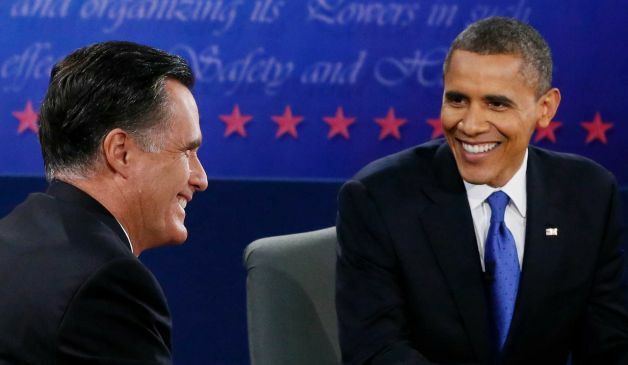 Combine Romney’s convincing first debate win, and Obama’s two marginal victories and I think the aggregate consensus of the three debates is in favor of Romney. Before you call me out, think about it for a moment. The polls show that I’m correct, at least through two debates. Before the debates Mitt Romney looked dead. He was trailing badly in the polls with only a little over a month until the election. Post-debates (at least post-second debate) Mitt Romney has closed the gap, and it’s clear it was due to his performance in the first debate. It will take at least a few days until my assessment is confirmed or debunked by the polls, but I think Mitt Romney walked away having improved his chances of winning this election. Don’t mistake this assessment as an endorsement of Romney’s substance, or lack thereof. If you think debates are how people should inform themselves on the issues, well, you probably still have a lot to learn about the issues. Debates are mostly about demeanor and presentation, or in other words, style points. On this front, Romney never trailed far behind Obama through three debates, and that means he has positioned himself for a possible win over Obama in two weeks. Yes folks, this race is that close.